From March 9-11, Agadir, Morocco, will again be the world judo capital, since with the second Grand Prix of the season and the fourth event since January will take place there as the world circuit will again stop in the 'Country of the Far Sunset'. As the Olympic qualification approaches (May 2018), this Grand Prix will allow some athletes to perform again, while others will try to find a spot under the sun of the world ranking list. Above: local judo star, Assmaa NIANG (MAR) in action during the last World Championships. In January, the IJF already launched its season in Africa, with the Tunis Grand Prix, which saw international judo coming back to Tunisia after the political events that drove it out in 2010. 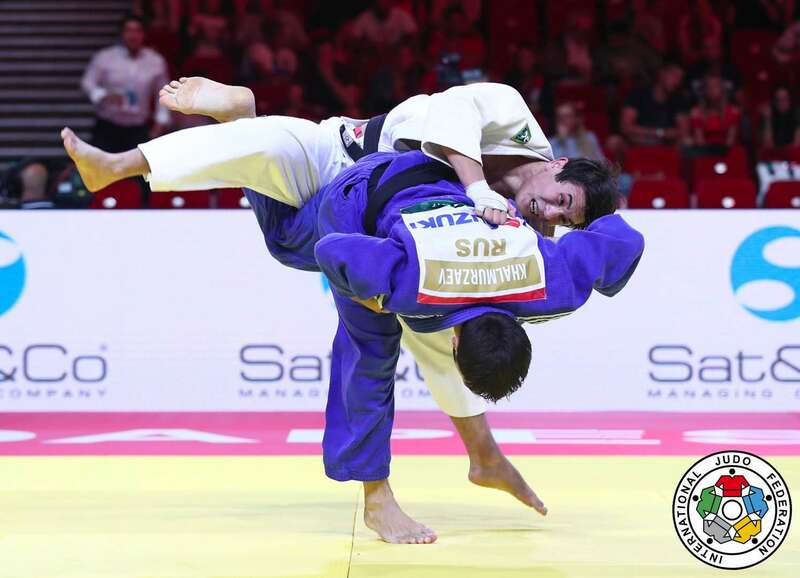 This parentheses of nearly eight years, was perfectly negotiated by the Tunisian Judo Federation which delivered a very good Grand Prix which attracted champions, spectators and media from all over the world. Morocco already has a long history of judo and has, on several occasions in recent years, directly received support from His Majesty, King Mohammed VI. This was the case at the very recent World Open Championships (November 2017), which saw the consecration of Asahina Sarah (JPN) in women and the tenth world title of Teddy Riner (FRA) in men. In May 2015, the capital Rabat hosted the World Masters and in 2010 the Junior World Judo Championships were held in Morocco as well. This event was already held in Agadir. After two Grand Slams which have just been organised in Europe (Paris and Düsseldorf), the Grand Prix cycle resumes in Africa and to date 281 athletes (163 men and 118 women) representing 43 countries are registered. As the host country, Morocco will line up a team of 39 competitors, led by its local star, Assmaa NIANG, fifth of the last World Championships in Budapest, who participated in the Marrakech open world championship as she was several dozens of kilograms lighter than some of her opponents. But nothing frightened the veteran judoka, who will do anything to shine in front of her public over the weekend. If the first three events of the year attracted many top ranked athletes, while the season was still in its infancy, the Agadir Grand Prix will be more open and we will probably see new names appear on the podiums. In women, in -48kg for example, it is certain that Daria BILODID (UKR) will not win, even though she has already registered her name three times at the top during the first three rendezvous of the circuit. The young Ukrainian deserves a break after her thunderous start and she will not be present in Morocco. Yet top-notch outsiders, such as Alexandra-larisa LORIAN (ROU -52kg) or the indestructible, Miryam ROPER (PAN -57kg) could take the opportunity to score minds and points. Tina TRSTENJAK (SLO), the world number one in -63kg, is coming off a disappointing performance in Germany, where she was eliminated during the preliminary rounds. She will be in Agadir with a small, no, a big desire for revenge. In men, the game will be even more open and it is not easy to define a list of favorites in advance. But that's what makes the tournament even more interesting. However, the veteran Georgii ZANTARAIA (UKR), who at the Düsseldorf Grand Slam found a route into the final. In the same category (-66kg), we will follow with pleasure a certain Mikhail PULIAEV (RUS), three times world silver medalist. Moreover Russia will be present in Morocco with a strong team at the head of which there will be no less than the Olympic Champion of the -81kg, Khasan KHALMURZAEV. Agadir is a Berber-speaking town in the south-west of the country, located on the Atlantic coast, in the region of Sus, 508 km south of Casablanca, 173 km from Essaouira and 235 km west of Marrakech. Agadir is the capital of the administrative region Sus-Massa and the prefecture of Agadir Ida-U-Tanan. According to the last statistics, it had more than 420,000 inhabitants. Ravaged by an earthquake in 1960, the city was completely rebuilt according to seismic standards and it is now the largest resort in Morocco, the city enjoying an exceptionally mild climate throughout the year. The organization of the Grand Prix in Agadir will also give the opportunity to promote the educational dimension of judo and judo discovery sessions will be organised on the beach. An orphanage visit is also on the programme. The institution welcomes young girls who will have the opportunity to demonstrate how judo can change their lives.